Modern bathroom designs are all about openness, fluidity and flow. 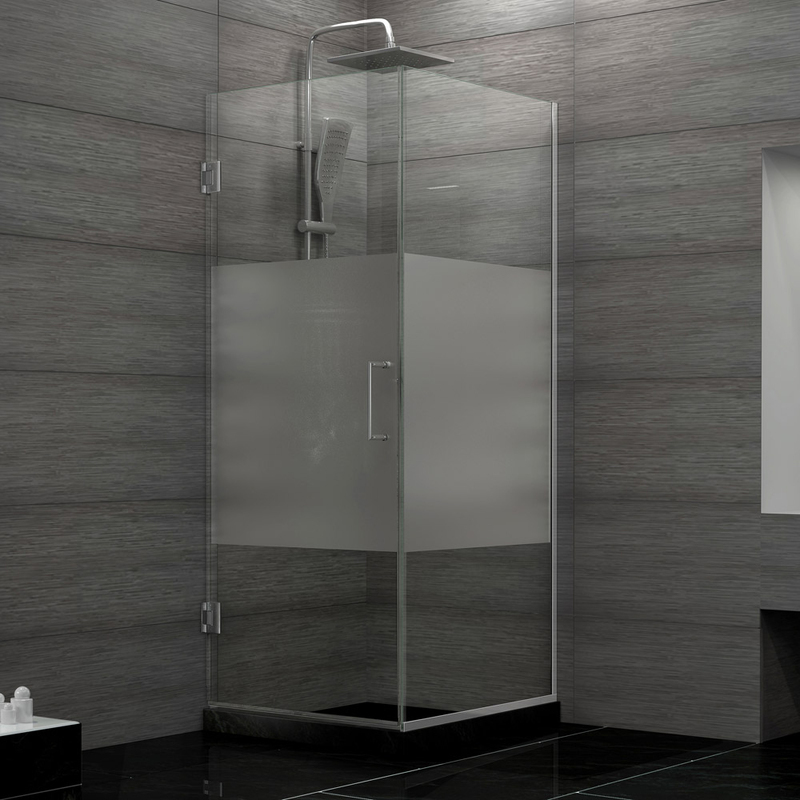 DreamLine shower enclosures compliment this style with seamless designs and contemporary flair. 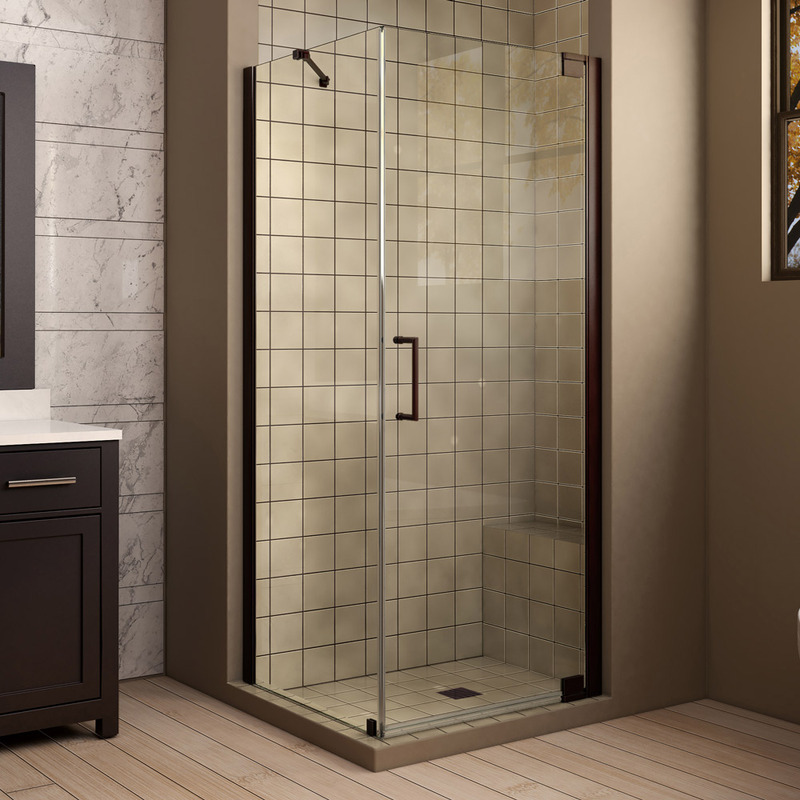 A custom glass maker is no longer the only avenue to a modern frameless glass shower enclosure. 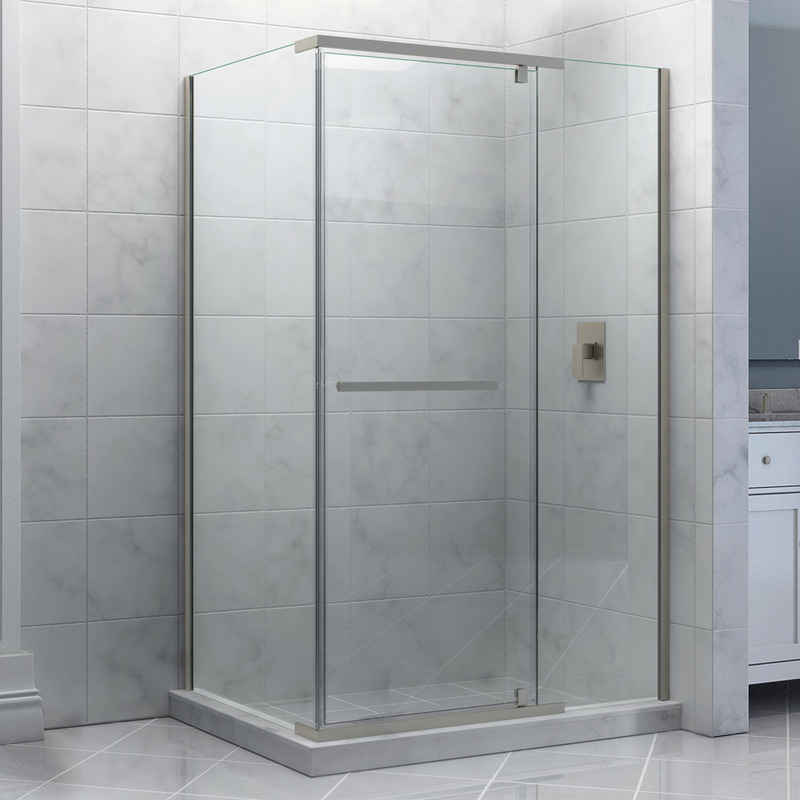 DreamLine shower enclosures offer the same quality and designs as custom glass at a fraction of the price, in stock and ready to ship. 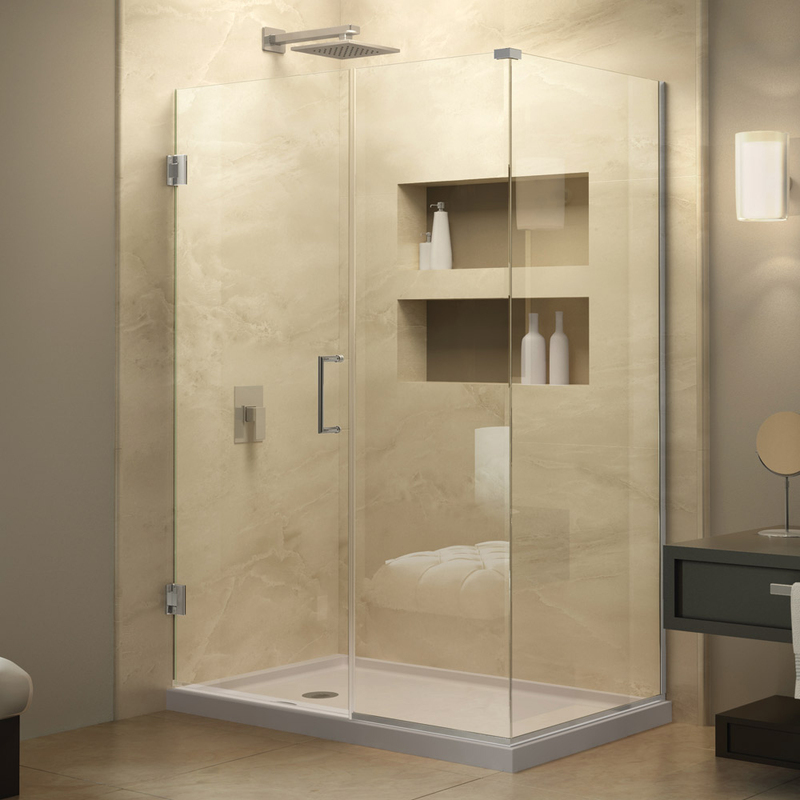 DreamLine shower enclosures come in an array of sizes, shapes, configurations and finish options. Shapes include rectangular, neo-angle and quarter round. 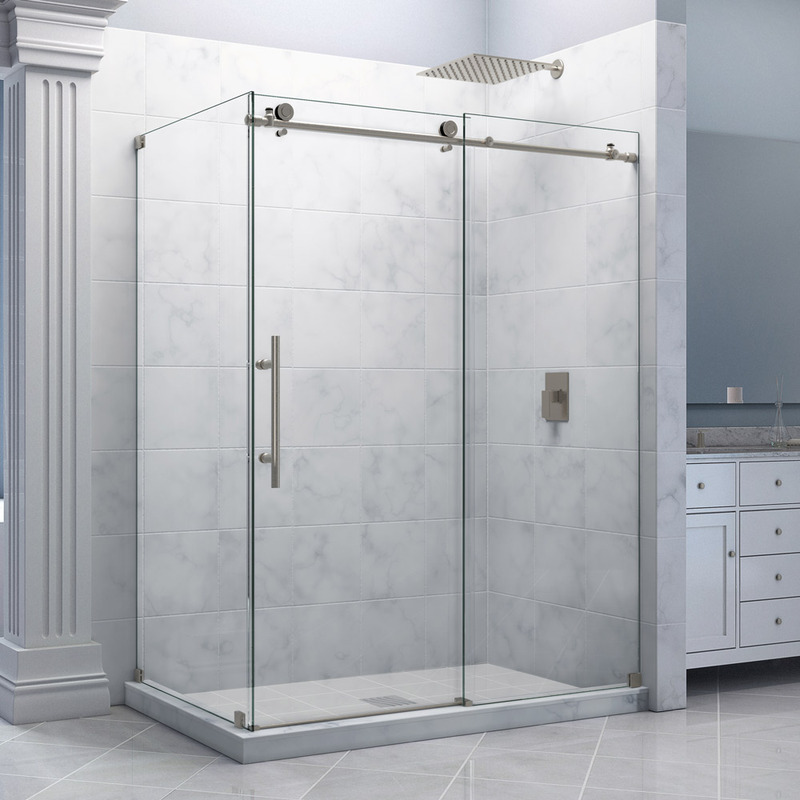 Each shower enclosure is completely unique, from bold geometric shapes with crisp clean lines to rounded curves that deliver an elegant touch. 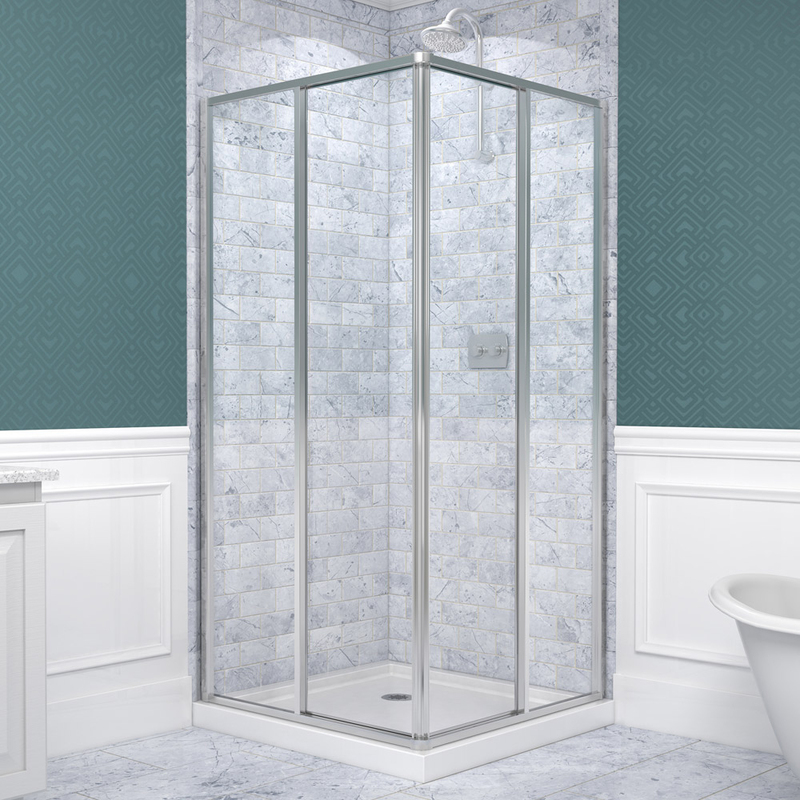 Choose a neo-angle or quarter round corner shower enclosure to save space or a rectangular shower enclosure with generous dimensions to create a dramatic oversized shower space for the ultimate sanctuary. 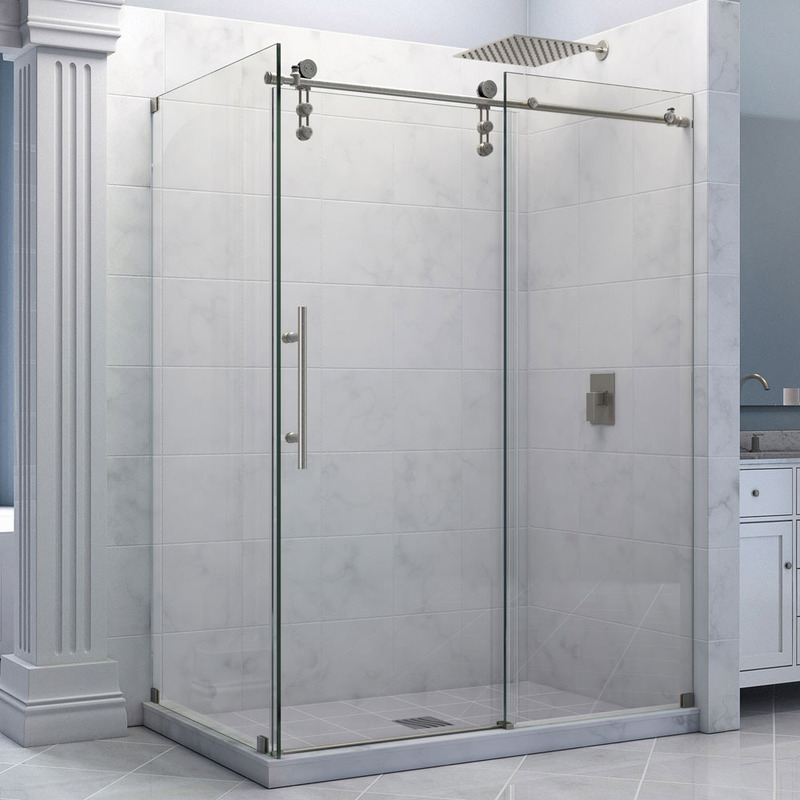 All DreamLine shower enclosures utilize a corner installation design to create a stunning focal point that works with any style decor, becoming the centerpiece of the bathroom design. 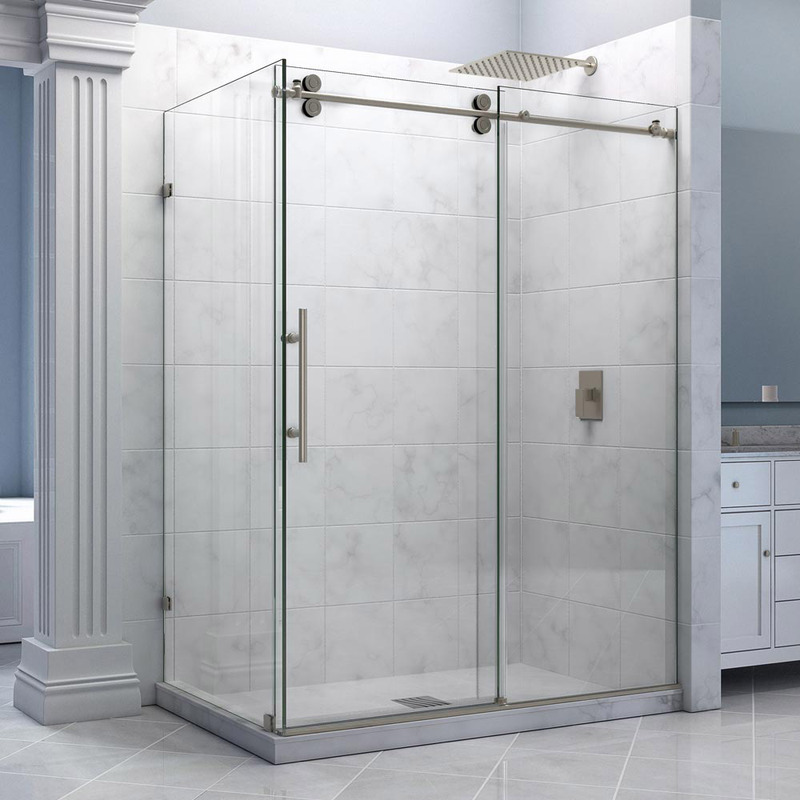 DreamLine shower enclosures are engineered to the highest possible standards in craftsmanship and materials, from premium thick tempered glass to the finest quality hardware. 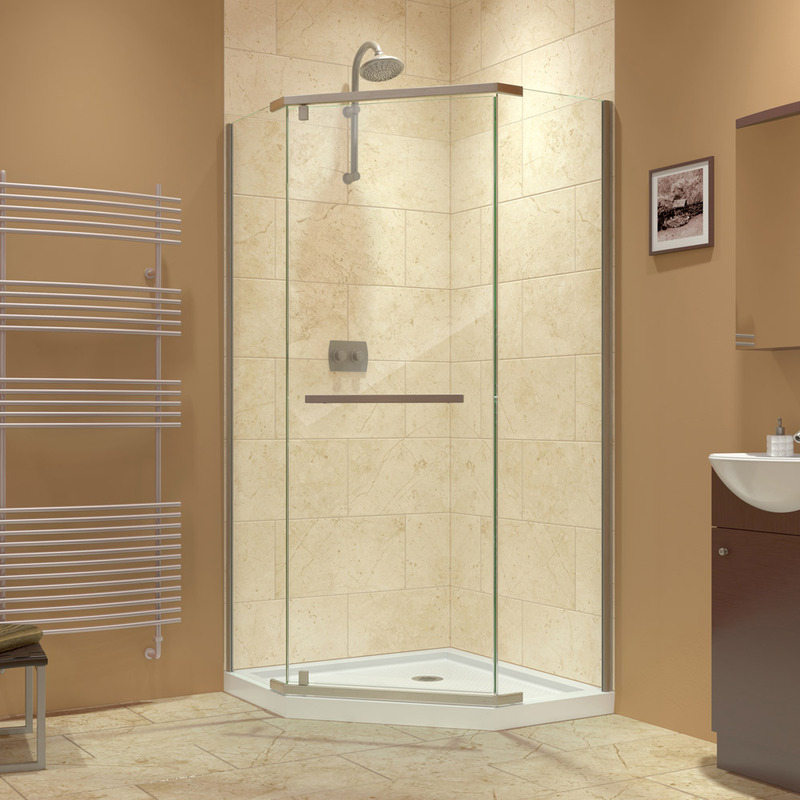 DreamLine shower enclosures are intended to be installed against finished walls. 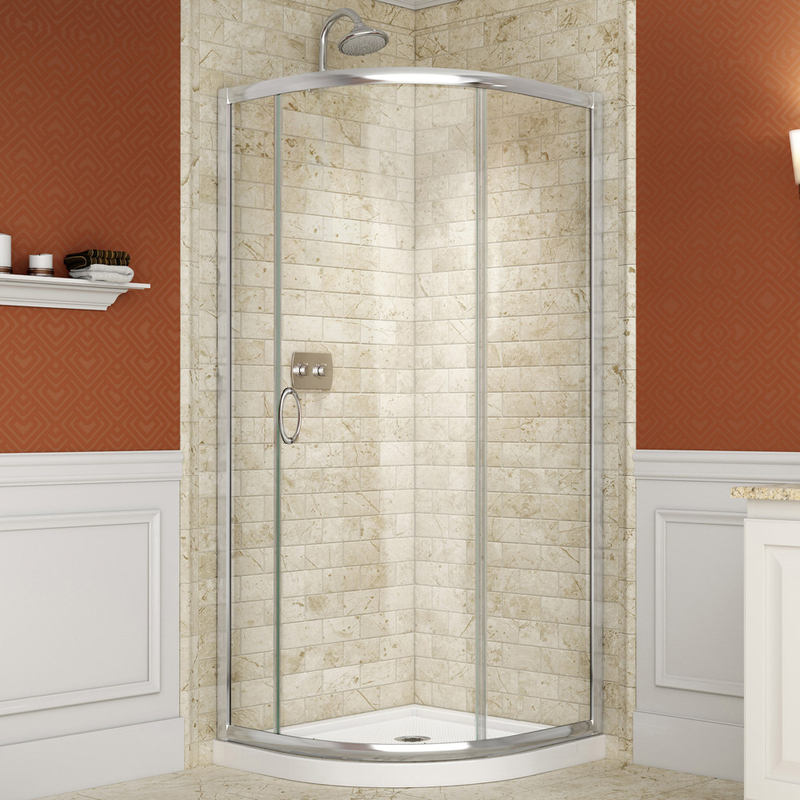 Install on custom tile or pair with DreamLine shower backwalls for a streamlined transformation. 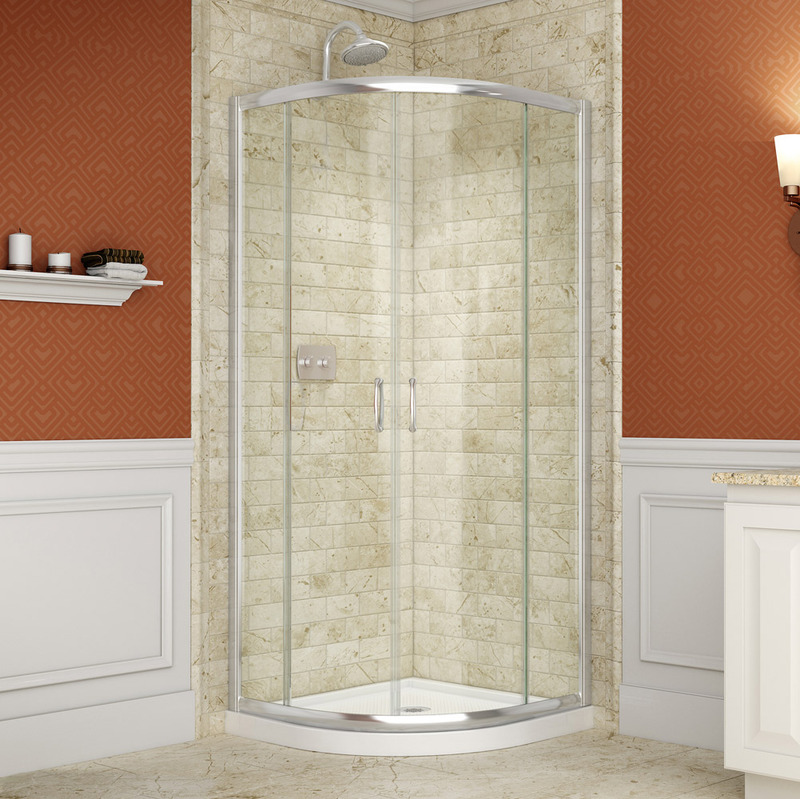 Choose a DreamLine shower enclosure for fresh style and high quality at an incredible value.